The 10th Annual Shell Point Open Charity Golf Tournament, presented by the Legacy Foundation at Shell Point, hosted 124 golfers and raised $25,000 to benefit the community’s Memory Care Center that serves senior adults who have memory loss or dementia from Alzheimer’s and other brain diseases. “Golfers and sponsors alike continue to support this tournament each year not only because of the camaraderie, but because of the opportunity to help with a worthwhile cause,” said Timothy Stephenson, executive director of the Legacy Foundation. “This tournament is just one way that we can help individuals receive the best memory care possible, while also having some fun playing Shell Point’s newly renovated course,” he added. Masters of harmony, The Four Freshmen will present a variety of traditional hits and holiday favorites on Thursday, December 19 at 7:30 p.m. in The Village Church Auditorium on the Island at Shell Point Retirement Community. Sharing the sounds that have enamored listeners worldwide for 65 years, The Four Freshmen have gained recognition as one of the most influential vocal groups of all time. The group has been inspired by the likes of The Beach Boys, Kenny Rogers, The Mamas and the Papas, Frankie Valli, The Manhattan Transfer, and countless others. Shell Point Retirement Community welcomes the Southwest Florida Symphony, joined by the Symphonic Chorale of Southwest Florida, as they present Holiday Pops on Monday, December 16 at 7:30 p.m. at The Village Church Auditorium. Composer, arranger, and conductor Jim Stephenson brings his fresh take on the joyous music of the season with this spirited symphonic performance of holiday favorites. Residents of Southwest Florida who would like to learn about resort-style retirement options and the benefits of lifecare are invited to attend one of several informational meetings at Shell Point Retirement Community. The meetings will be held in the main Commons located in The Woodlands neighborhood at Shell Point on December 4, 10 and 18 at 10 a.m. Following the 45-minute presentation, guests will tour two of the three Shell Point neighborhoods—The Island and The Woodlands—see model residences, and learn about Shell Point’s newest neighborhood, The Estuary. Admission to these informative sessions is free; however, seating is limited, so reservations are required and may be made by calling Maureen Thomson at 239-466-1131 or 1-800-780-1131. Shell Point Retirement Community is a not-for-profit continuing care retirement community located in Fort Myers just off Summerlin Road and McGregor Boulevard, two miles before the Sanibel causeway. Shell Point is a nationally recognized leader in the retirement industry. 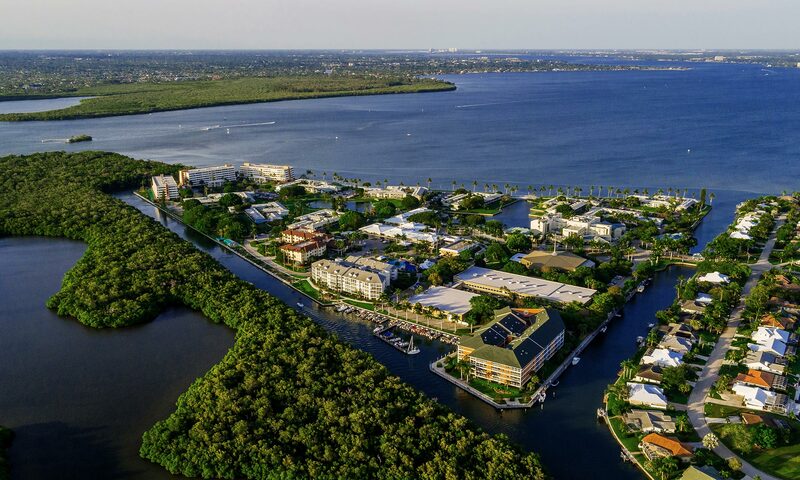 The community offers retirement living in a resort-style environment with a newly renovated 18-hole championship golf course that is open to the public, deep water boating access with free boat dockage, and recreational and fitness facilities. To learn more about Shell Point, visit us at www.shellpoint.org or call 1-800-780-1131. On Friday, Dec. 6, from 9 a.m. to 5 p.m., customers are invited to chose a snowflake with a secret discount to receive additional savings off already well-priced items during the Community Thrift Store’s holiday celebration. A snowfall of surprises will delight customers each hour, along with complimentary theater-style popcorn and Christmas cookies. The Community Thrift store is located in Miner’s Plaza, next to Planet Fitness, on the corner or McGregor Boulevard and Gladiolus in the Iona area of South Fort Myers. Regular store hours are Tuesday through Saturday from 9 a.m. to 4 p.m. For more information, call 225-6529. Shell Point Retirement Community kicks off its 2013-2014 Concerts & Conversations Series with Ars Nova String Trio on Thursday, Nov. 21 at 7 p.m.
Jennifer Kozbial, violin, John T. Posadas, viola, and Adam Satinsky, cello, met while performing together as leading members of the Naples Philharmonic Orchestra. By forming Ars Nova String Trio, they have established themselves as an important presence in the chamber music world as vivid interpreters of the classics of the repertoire, advocates for new music, and dedicated teachers and mentors to a generation of young musicians.